Used to set off any color in a perennial border, as a striking specimen plant or the flagship of a vegetable garden, the artichoke has much to recommend it to the gardener. But the reason most people grow them are the leathery leaves made to dip into butter – or is it mayo? – and the succulent heart at the center. 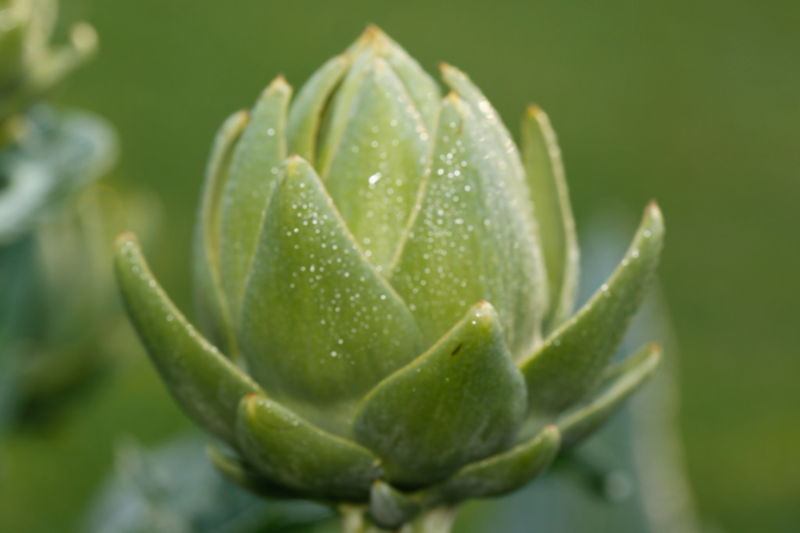 To grow artichokes from seed, start them indoors in late February or March under grow lights for about eight weeks, and then plant them outside after the last frost. In May or June, it’s best to purchase starts from your local nursery or mail-order catalog. An artichoke will produce well for about three or four years, Myers said. After that, it’s best to dig and divide it as it produces off-shoot plants that may crowd the original plant.